I also saw a new one at the restrooms next to the hippo house, but my camera finger wasn't quite fast enough to capture a shot. 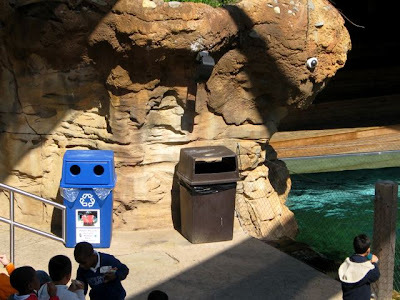 This brings our grand total to three recycle bins, which is triple the number the Zoo had a month ago. Keep up the good work, Memphis Zoo!